@Scott: Looks like it’s a no go for the Vladito call-up. Best streaming option for this week Junis,chen,or Matz. I know Junis is a two start but I don’t love him against Cleveland. @Tedy: I’m rolling Junis as a two start option this week in my playoffs. Stream Sean Reid Foley today at Miami? Also is Foley anything more than a mid rotation starter going forward? SON has Foley @ +9 for today. @Malicious Phenoms: Yes, and prolly not. Any idea if buehler will be replaced in the rotation for sure soon? I second that with a flaherty question. Will he go to the bullpen before october ? @Lovedarooks: Nope, I think they roll Flaherty. Hey Ralph, thanks for your insight this year its awesome. I have a man crush on Paddack . Cant get over the K/bb ratio but am concerned about the TJ he has had and lots of these guys unless high velocity don’t seem to keep a high k rate at the MLB level. @lovedarooks: Thanks, appreciate the read. That’s tough, the sarcastic answer is he’ll be Chris Paddack the major leaguer. Lol. With that changeup the ceiling is a deGrom, Greinke, or Nola. wow he ain’t goin’ nowhere ! Even if I have to come in second place I value your opinion that much !! Thanks for all the output over the season. Haven’t listened to the latest pod yet – will do so on the walk to work this week. What are your thoughts on Josh James ? Am in a 30 team salary cap league, he’s available to be bid on. My 30 team league means I have been digging deep both into players for my FYPD and also current FA’s who will be available to draft prior to the season starting next year. Current draftees have been Jordyn Adams (24), Kyle Isbel (39), Tristan Pompey (54), Nick Northcut (84), Jake Wong (97). Don’t spare my feelings, what are your thoughts ? Football update : played 5 now. W2 D2 L1. Sitting in 8th. At home on Tuesday and then next Saturday is our first (hopefully not last) FA Cup game of the season. Royal’s fan here….I have heard lots of good things about Isbel. Put up some nice numbers and was walking more than striking out after his promotion to Low A but the most exciting part is hearing scouts talk him up. Incredible work ethic and plays the game similar to Whit. I really hope they are right about him. @Sport: I’m a big fan of Isbel, one of my most aggressive movers since my last update. Same with Pompey. You know I love Adams, so I’m a big fan of the first three picks. The next two aren’t bad either. James is a must add in a 30 team. Misses bats, could be a decent MLB arm for years, need those guys in a 30. Have got a few picks in the next 2-3 rounds. Hoping to snag a few more guys from my list. Will update you. Thanks sport. Always good to hear another confirmation. 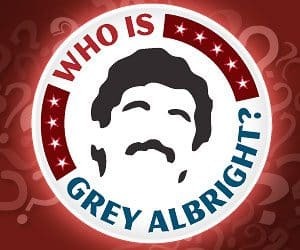 RE Thaiss – Ralph and Grey mention him on the razzball pod (not the prospect one). @Another Dan: I haven’t watched a minute of footie this season. Been too caught up in kids, baseball, and work. Good to see they’re hanging right away upon promotion. Our home crowds have been solid as well, so let’s hope interest continues. Helps finances which in turn helps the quality of players on the park. Haven’t been to an away game as yet, so only seen them twice. Staying clear of football might be a good choice. Mourinho is behaving strangely (find the post match interview where he talks about respect). Didn’t get the players he wanted in the transfer window and has not taken it well. Watched the performance v Spurs. It was a catastrophe from a Utd perspective. I’ve had a bit of time lately (six weeks holiday ends tonight) but the next two months is hectic every year. I was hoping Matt Thaiss would get a call up since I lost Abreu and Pujols in my AL only. Think he gets some AB for the Angels?